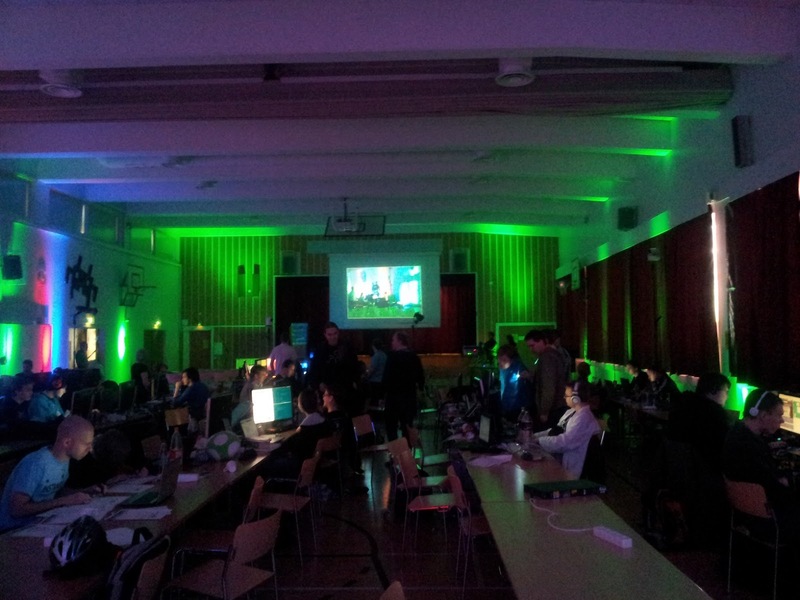 This was the second year in row in which I visited a local demoscene event, Instanssi. As usual it was a nice little event. 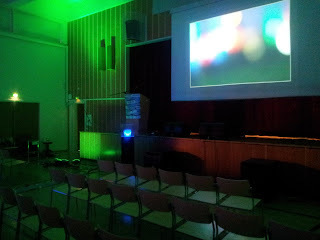 Around hundred people, mostly male geeks, showed up and it was a great fun. I even gave a brief talk about that Elovalo web IDE thing. On retrospect I should have developed more functionality for the conference but due to work pressures I just couldn't pull it off this time. We did manage to get our web interface for the cube to work so it is possible to control it remotely. This yields some very interesting opportunities for further development. The highlights of the events for me include a talk on functional reactive programming using Elm (slides in Finnish), Setok's talk on startups and a meeting with Andrew Paterson of Pixelache. Pixelache acts as an aggregator of sort and provides some cross-pollination between various maker communities and such we have in Finland and even in neighboring countries (Russia and Baltic area countries in particular). Overall the event was well organized. There were some issues with networking but nothing too major from my point of view. I agree with Setok's opinion that perhaps there should be some kind of a socializing space next time. It's embarrassing for us Finns to go bug other people when they seem to be so busy with their computers. In a way that's part of the culture, though. Do keep in mind that Instanssi is a non-alcoholic event so we don't have that social lubricant around (not that I personally use any). I hope the event will be arranged again next year. I know it's hard work to organize these sort of events but in the end it's worth it. It's a nice highlight that kind of signifies the upcoming Spring for me. It's not that far off anymore. I recommend checking out the demo entries. Laser Berger's 1984 is a fun listen in particular. Nice retro feeling there. Kind of reminds me of Miami Vice for some reason.